Our three ensembles offer high-quality musical experiences and instruction for children and adults. Our goal is to work and learn together to make the best music while having the most fun. Audition information for each ensemble may be found below. 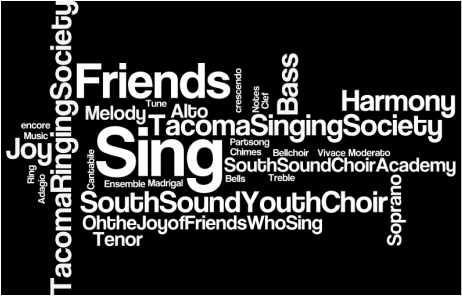 A treble choir for singers in 3rd - 8th grades. We are looking for capable singers who work well with others, are self-motivated and polite. Singers should be able to match pitch, maintain focus, and apply instruction to their own work. Singers should be prepared to sing one unaccompanied verse of one of the following songs: America the Beautiful, Silent Night, or Happy Birthday. 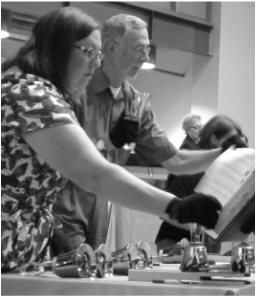 A handbell and chime choir for adults and children 4th grade and above. A bell choir is much like a baseball team. In order to play, every position must be filled. We're looking for members who can commit to being at rehearsals and performances. Baseball players are always training and making improvements. We're looking for members who have perseverance and the willingness to practice. Baseball players work as a team, backing up plays and working to each others' strengths. We're looking for members who are team players. 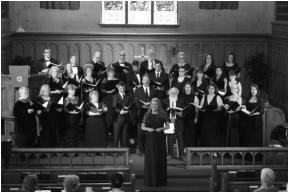 A choir for men and women. Auditions for TSS are held in January. Auditions are by appointment and are to fill vacant positions, as dictated by the balance between parts. 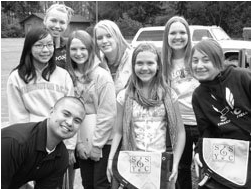 We are looking for capable singers who work well with others, are self-motivated, and polite. Choral experience and music reading skills are an advantage. Auditions include a prepared piece (unaccompanied), some vocalizing and a friendly chat. Interested singers may click below. We will contact you to schedule an audition.